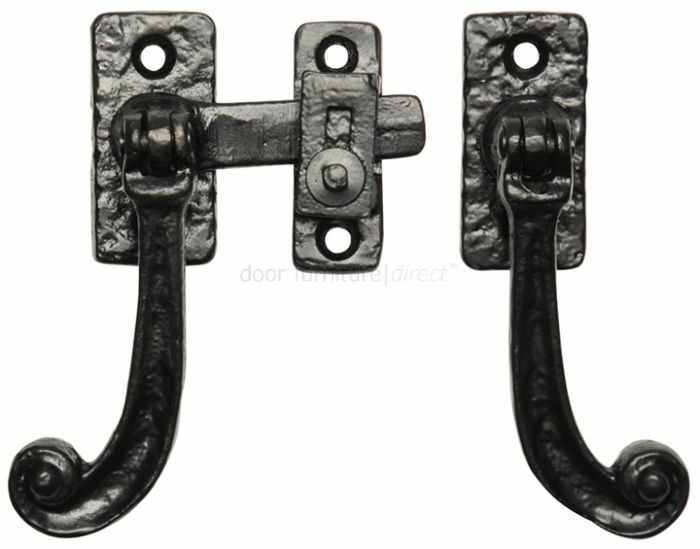 Black antique casement fastener with a locking catch (reversible, either hand). These are most commonly used on interior french doors. One fastener is fitted to either side of the door and are connected to each other by a spindle which passes through the door. Supplied complete with fixing screws.